With a ten-year career in competitive swimming that began at the age of seven, it’s no surprise that Ukrainian freediver Nataliia Zharkova is a specialist in Constant Weight No Fins (CNF). But having broken four CMAS world records in depth (two in CWT bi-fins and two in CNF), as well as being the 3rd deepest female in Free Immersion (FIM) and the 6th deepest in Constant Weight (CWT) in the AIDA rankings in 2018, it’s fair to describe Zharkova as a very strong all-round freediving athlete. In a period where the level of competition amongst world-class female freedivers is at a peak, this is no small achievement. 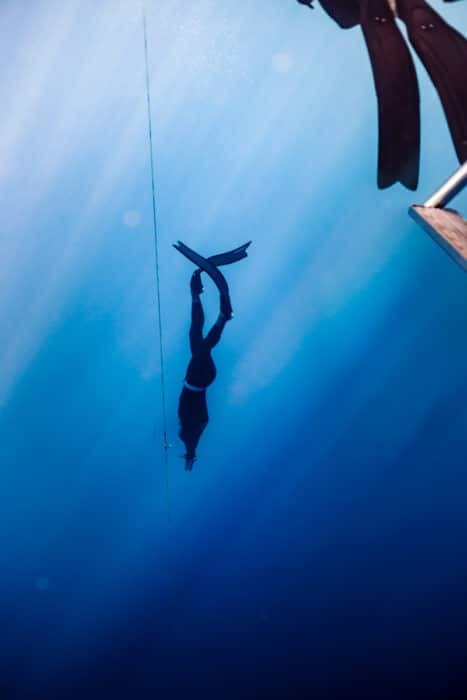 Born 1989, Zharkova appeared on the competitive freediving scene in the pool in 2009, a year after she began freedive training, taking all the Ukrainian national records at her first competition. From then on, every personal best for Nataliia was a national record. Following this impressive start in the pool, Nataliia realized that she preferred to dedicate herself to the depth disciplines. Zharkova competed in the AIDA Team World Championships in 2012, ending that year 5th in the world rankings. 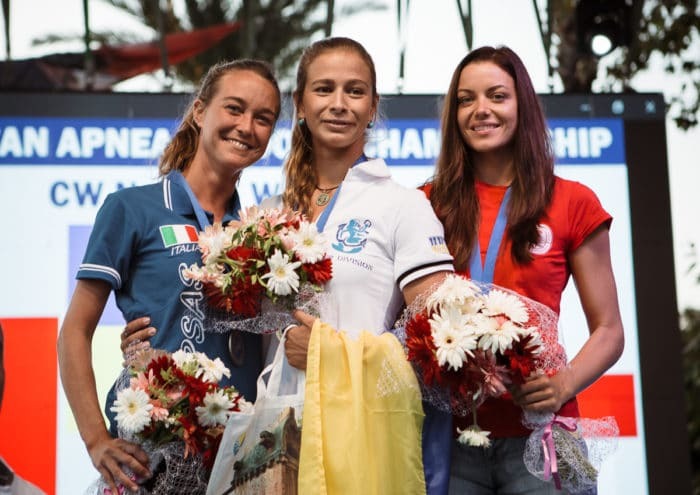 The following year, in the AIDA Individual World Championships in Kalamata, Nataliia took two silver medals (CNF 60m, FIM 78m) and a bronze (CWT 85m), to firmly establish her amongst the very best females in freediving. Already holding all the depth national records for Ukraine, Nataliia has more recently broken a total of four world records in the CMAS Outdoor Championships in 2017 (European Championships) and 2018 (World Championships). Winning her two gold medals, she broke the CNF World Record (WR) with a dive to 65m, and the CWT Bi-fins WR with a dive to 85m. 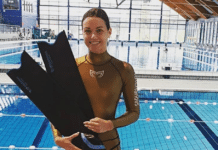 The following year, she took the CNF WR to a depth of 70m – winning gold jointly with Italian freediver Alessia Zecchini – just three meters away from the AIDA WR, set by Zecchini just earlier that year. Zharkova also won gold in the CWT Bi-fins discipline, taking the recently broken world record of 86m set in the pre-comp by Sofia Gomez Uribe, to an impressive 89m. 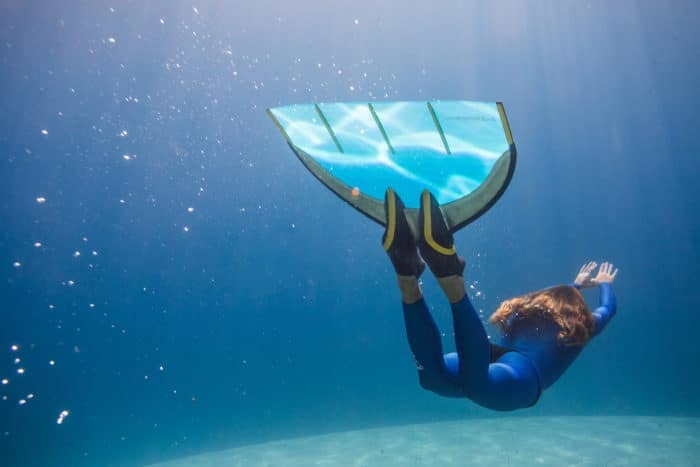 Nataliia is also an architect, an AIDA master instructor, and an Apnea Academy instructor, who has designed No-Fins master classes and workshops, which she has taught worldwide. Read on to learn what drives this athlete, who has already achieved so much, and to discover where she sees herself in the future. Nataliia Zharkova: Right now it is a realization of how much more freediving can be! I am a very competitive person. So for a long time freediving was for me only the line with the marks. Even though then it was a great trip into self inner-world, the success of its investigation was always measured by the meters or minutes. At some point, I’ve realized how little I’ve seen in my life! I am a master of such a great tool as a breath hold and I am so silly not to use it! So the newest wave of my inspiration is about to dive the PLACES, not the meters. I’ll be honest though: the core of my personality is still the same… So, of course, a temptation to kick asses at the competition is still there, and I’ll do it. But with a flair for a fun adventure! NZ: No question here: Natalia Molchanova is The One. I admire her not only for being a stable athlete, but also a scientist. The huge work what she has done for the freediving world is still one of a kind. 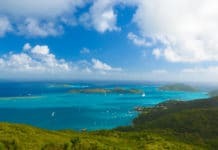 DB: What are your favorite places to freedive? NZ: So far it’s been the Dahabian Blue Hole: calm, warm, stable, easy entry, safe and cheap. But at some point it has become “too tight in the chest”. So looking for the other places to train. The sea in Kas (Turkey) is very nice: I feel that water there is “alive” somehow… Hard to explain, maybe this feeling comes from the currents or a gradual thermocline. 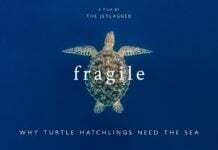 NZ: I would love to dive at Truk Lagoon and Bikini Atoll. My partner, Aron Arngrimsson, is leading The Dirty Dozen expeditions to these destinations for technical divers and freedivers so that should not be a problem. He told me many great stories and showed me exciting pictures about the dozens of shipwrecks what sank there during WW2. I really would love to dive there in the next couple of years. Another idea that excites me is to dive with orcas in Norway and whales somewhere at the Azores. I dream to meet a whale so large that I can be the size of his eye! NZ: Don’t miss the basics! Aerobics = the best training base. NZ: Last season I was doing a lot of TRX-training. Worked pretty well for me. It is easy to carry, can be mounted anywhere, involves many muscles at the same time, trains balance and coordination. NZ: If a dive is in the morning, then I will have a sweet snack and a full meal with carbs for a dinner a day before. If I dive later than 11 am, I’ll keep going with the sweet snacks each couple of hours, not to feel hunger. NZ: I just eat smart, no specific diet. Hot meals, soups, more fruits than cookies, more than snacks, more water than soda. And more good wine than beer! Also, I am not a meat eater at all. It has nothing to do with ethics or religion in my case, I just don’t like it. But I eat a lot of fish and seafood.  DB: What important life-lessons has freediving given you? NZ: I grew up with freediving. I started when I was a teenager. So all the lessons I’ve learned on a way to become an adult, I’ve learned thru freediving: the importance of friendship and support, the relativity of time, patience, no rushing… and so on. NZ: As a freediver, I see myself as a teacher by that time more than an athlete. In 5 years for sure. In 10 I might get back to the competition though. The kids will be going to a school already, you know! NZ: My 60m CNF dive at Kalamata Worlds 2013. I saw myself just next to Natalia Molchanova at the start list. And when I realized that this dive is going to be my first medal at freediving Worlds I’ve got so excited that almost literally puked at the competition line right after the words: “Two minutes to the official top!” That was so memorable that my friend Evgeniy who was coaching that dive still reminds me about the gray hair he got at the moment). And of course, diving thru the Arch of Blue Hole is a significant dive. Narcosis there was very fun and visual J. I felt like a twisting spaghetti swimming with the monofin through it. NZ: Of those that I haven’t done yet. Because that is going to be legendary! Haha, kidding! I am really proud of myself for being more or less consistent on my way as an athlete. I know the results are just numbers, but somehow it inspires others to give a shot at something new, to believe in themselves. I am proud of making it and becoming a teacher for those who learned from me. It is important to help others, to feel useful and share your experience.